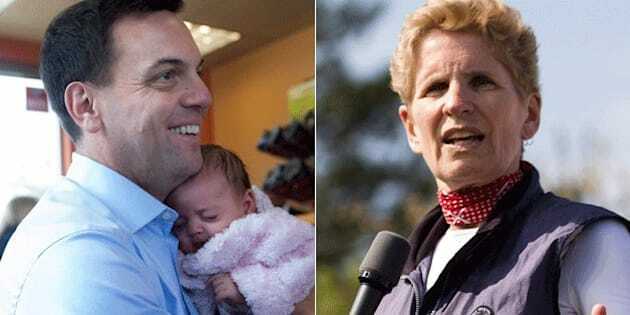 As polls in the Ontario provincial election have yet to form a consensus on the state of the race, contests in a few ridings are worth watching for clues about which party will form the next government. There are several ridings in Ontario that can be classified as bellwethers, or ridings that have historically supported the party that wins the election. In keeping with the close and confusing race, all three parties have the opportunity to win at least one of these bellwethers. But note that the election of 1985 deserves an asterisk, as the Progressive Conservatives won the most seats that year but lost the popular vote to the Liberals. Grits went on to form government in conjunction with the NDP when the PCs failed to gain the confidence of the Legislative Assembly. Two ridings in the Scarborough region have the longest track record of voting with the government. Scarborough Centre has elected an MPP who sat on the governing side of Queen's Park in 12 consecutive elections going back to 1971, if we include the PC MPP elected for the riding in 1985. The neighbouring riding of Scarborough-Guildwood (and its predecessor riding of Scarborough East) has also voted with the incoming government in every election since 1971, including 1985 when voters sent a Liberal MPP to Queen's Park. The ridings of Guelph and Kitchener Centre (and their forerunners) both voted in a member of the government in every election since 1985. Peterborough is an interesting case. It has voted with the party that formed government in the last 10 elections going back to 1977, if we include the PC MPP elected in 1985. In addition, in every election since 1995 the popular vote in Peterborough has been relatively close to the province-wide popular vote. The riding, then, is almost a microcosm of Ontario. Three other ridings might turn out to be bellwethers, depending on the result. Niagara Falls has voted with the government in every general election since 1985, while London West (and London South) has done so since 1977. But both of these ridings elected New Democrats in recent byelections. That may be a good sign for the NDP. On the other hand, the byelection that sent Doug Holyday to Queen's Park for the riding of Etobicoke-Lakeshore may be a good omen for the PCs. The Toronto-area riding has voted with the governing party in every general election since 1990. But it appears that at least some of these ridings will no longer be bellwethers after June 12. The ridings of Guelph, Peterborough, and Scarborough Centre seem relatively secure for the Liberals, while Etobicoke-Lakeshore, Kitchener Centre, and Scarborough-Guildwood are setting up to be close PC-Liberal races. The ridings of London West and Niagara Falls, meanwhile, are primarily PC-NDP contests. Depending on which party forms government, some of the residents in these ridings will likely end up represented by a member of the opposition. But it is impossible to say, at this stage of an ill-defined campaign, which party that will be. Éric Grenier taps The Pulse of federal and regional politics for Huffington Post Canada readers every week. Grenier is the author of ThreeHundredEight.com, covering Canadian politics, polls and electoral projections.